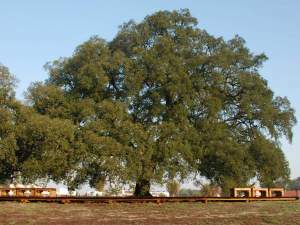 The 234-year-old cork tree has won first place in the “European Tree of the Year 2018” contest and has been classified as a “Tree of Public Interest” since 1988. The name Whistler comes from the sound originated by the birds that land on its branches. 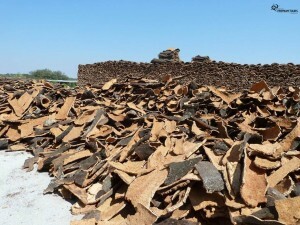 It was harvested more than twenty times and gives more cork in a year than the other cork trees give in a lifetime. In 1991, its harvest resulted in 1200 kg of cork with which was made more than 100 thousand corks stoppers. The cork comes from the bark of the tree which, in addition to being 100% natural, is also biodegradable, renewable and recyclable. 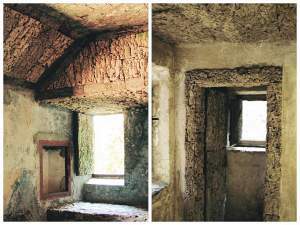 Its use is old and to prove its existence there are several artifacts scattered throughout Europe; from the Romans and Egyptians who used cork for fishing gear, footwear, and amphorae where they carried liquids to medieval times with monks who used it to cover the walls of their rooms to protect themselves from the cold in winter and the heat in the summer. During the Portuguese Discoveries, it was used in the caravels and by great wineries that discovered that the secret to preserve the best wines was a simple cork stopper. 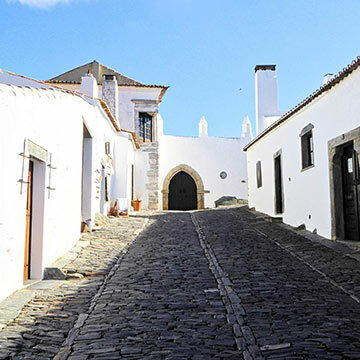 Today, in addition to having several uses, it has been proved to be of the utmost importance not only to the Portuguese economy but also to the biodiversity as a support for the habitat of species as the Iberian lynx or the royal eagle and in the fight against climate change. Most impressive in this entire procedure is that not a single tree is cut down. The bark renews itself ready for the next harvesting. 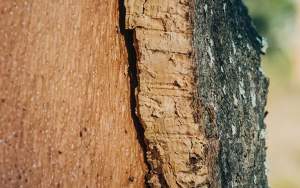 The extraction of the bark (cork) must be carried out by specialized professionals from May to August, when the tree is growing up thus making it easier to remove it without hurting the trunk. 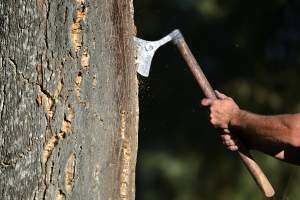 Each cork tree takes 25 years to be harvested for the first time. After the first extraction, this process can be repeated about 17 times which translates into an average of 200 years. The first two extractions result in the so-called ‘virgin’ and ‘secondary’ cork, whose properties are suitable for insulation, flooring and products for building, fashion, design, health, energy production or aerospace industries. It is only after the third extraction (43 years), with the so-called ‘amadia’, that the cork becomes smoother in texture with suitable properties for the production of stoppers. 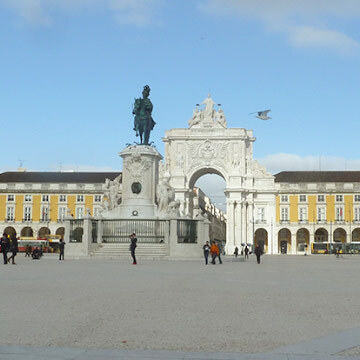 Portugal Premium Tours has two tours focused on this very special material – the cork. 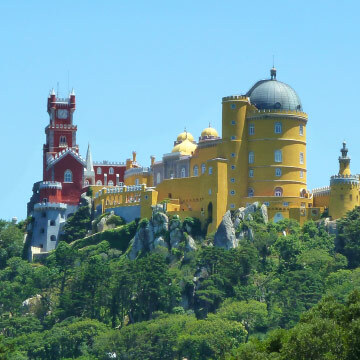 In The Wonders of Sintra tour, you can visit the Capuchos Convent, also known as the “Convent of the Cork”, founded in 1560 and where cork is used in the protection and decoration of its small spaces. 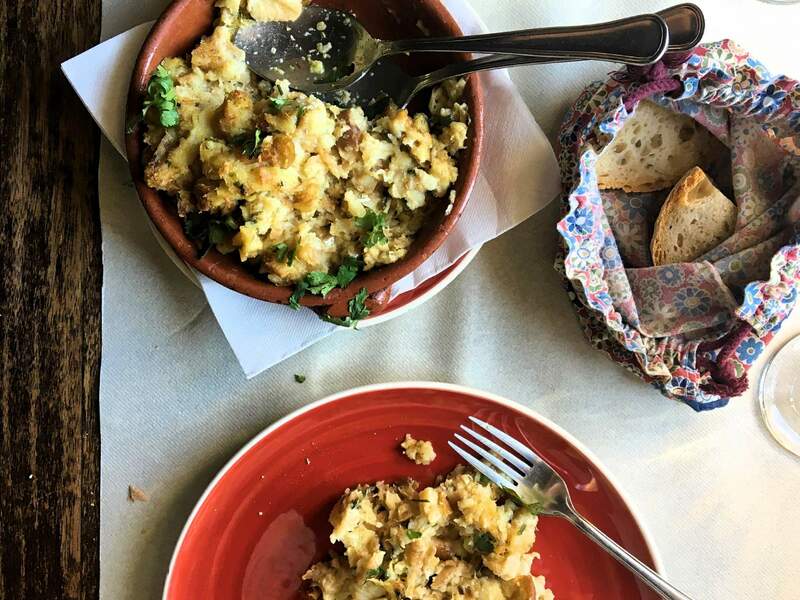 In The Alentejo and its beauties tour you will have the opportunity to stop by and see the Cork trees in their habitat and to visit a cork factory where you’ll understand the entire process of its transformation into the final products, followed by a tour of the factory. 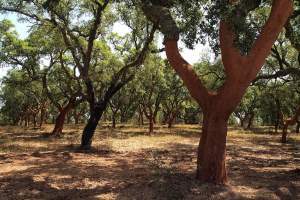 Currently, the cork oak occupies 23% of the forest area of the country, making Portugal the largest cork producer and responsible for about 50% of the world’s transformation. 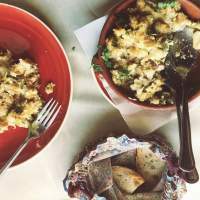 Find out our suggestions on where to eat when you take our private ‘Alentejo and its beauties’ tour.